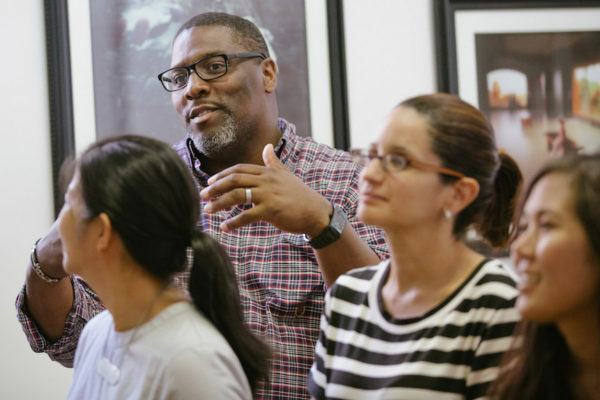 We provide a series of learner-centered professional development workshops for educators to learn VTS with the support of peers. 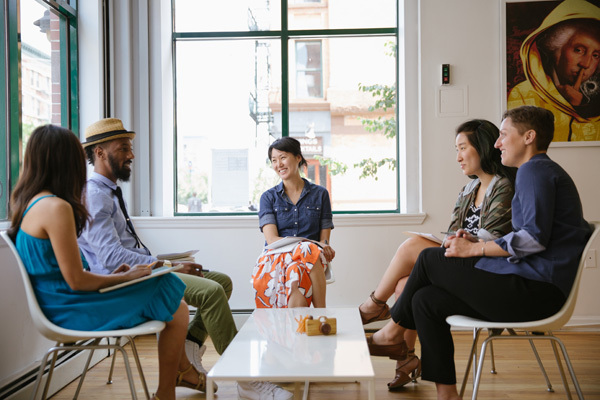 By facilitating real discussions and reflecting on their practice, guided by VTS coaches, educators learn how to create supportive learning environments that are open and accepting, encourage risk-taking, and elicit multiple perspectives. Participants increase their ability to hear, value, and assess student thought and expression. Our complete listing of upcoming events, click here. Our brochure for Museum Services can be found here. Visual Thinking Strategies offers training in facilitation, coaching and aesthetic development. 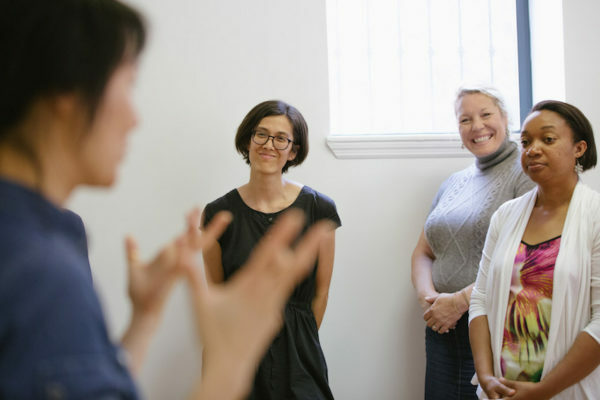 Whether you're new to facilitation or a seasoned practitioner, VTS offers professional development to support growth in all aspects of VTS methodology. •How to apply VTS specifically to your context (students and setting). •Sharpen student-centered facilitation and program design skills. •Understand how VTS can support teaching/learning broadly. The Aesthetic Thinking Workshop provides an overview of the research that led to cognitive psychologist and VTS co-founder Abigail Housen's stage model of aesthetic development and to the creation of VTS. Workshop participants examine aesthetic thinking and how the understanding of its development can inform education practice. VTS offers a variety of services that can be tailored to meet the objectives of your institution. If you would like to bring VTS trainers to your site, have specific questions about developing a customized training for your institution, or have some objectives in mind and wonder how VTS might help you achieve those objectives, please contact us. The VTS School Program is a three-year professional development model and curriculum implementation for PreK-8 schools. 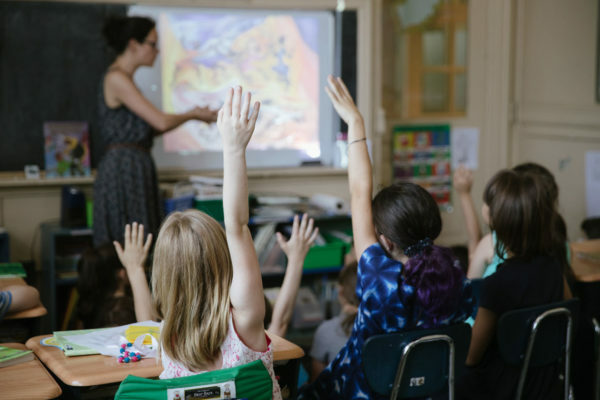 Our model includes a mix of full-staff trainings, grade-level or content-area group debriefings, and classroom co-teaching sessions each year. Both our professional development and curriculum models are sequential and developmentally based to reflect student and teacher growth in critical thinking, language and art-viewing skills over time. Our core school program regions are New York City, San Francisco, Sonoma/Napa, Portland, OR, and Seattle. Our non-regional school programs utilize VTS trainers and coaches living outside of our core regions, and are supported by the national VTS organization. To inquire about implementing VTS at your school, please contact us. 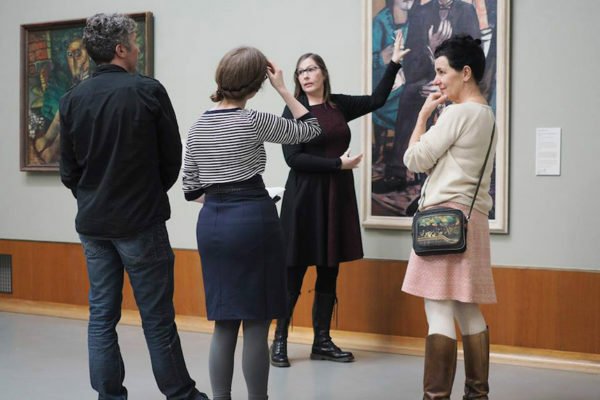 VTS offers consulting services tailored to the objectives of museums, universities, schools, not for profit organizations and corporate institutions. Consulting services include staff workshops, image selection, team building experiences, curriculum and program development, and coaching support. Our brochure for Museum Services can be found here. Our staff of experienced Trainers have been teaching and learning with VTS for many years all over the United States and internationally. To arrange a speaking engagement, keynote, or introductory presentation with a VTS Trainer, please contact us. VTS offers facilitation, coaching, and programmatic support to individual practitioners of VTS working towards program implementation. In a one-on-one setting comprised of classroom visits, observation, and shadowing a VTS Trainer, this professional development offering can be tailored to your interests and scheduled at your convenience with a regional Trainer. To coordinate your individual professional development plan, please contact us. VTS offers a variety of ways to go deeper in your VTS practice. Stay current with the latest resources, image sets and curriculum with a VTS Web subscription. The Visual Thinking Strategies website offers 12 month subscriptions for both organizations and individuals. The VTS Certification Program offers credentials, recognition and benefits to our ever-growing network of practitioners around the world. Certification is awarded to individuals that demonstrate the technique and presence of a skilled practitioner. Site Specific: The Journal of Visual Thinking Strategies is a window into our larger community of VTS practitioners’ depth of experience as we continue to use VTS in new environments and with new content, learning from colleagues, teachers, and students as we do. Browse our online collection of research of VTS and a variety of applied subjects.